How big is Black Chip Poker? 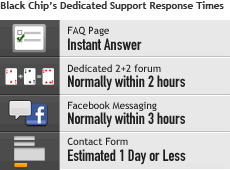 Known throughout the player community, Black Chip has upped the standard of customer service in the poker industry. Response times can be as little as a few minutes. Flat 27% rakeback means you will earn the same as a pro on your first raked hand. Additionally, as of December, 2013, BlackChip Poker stopped deducting bonuses from Gross Rake which means more rakeback for you. By signing up to Black Chip Poker via an affiliate webpage players receive 27% rakeback instead of the lower value VIP program. Make sure you access the BCP website from this page rather than Google or the BCP refer a friend program, to open a rakeback account rather than a VIP account. Clearing cookies and using bonus code RBCOM when depositing also helps but isn’t essential. 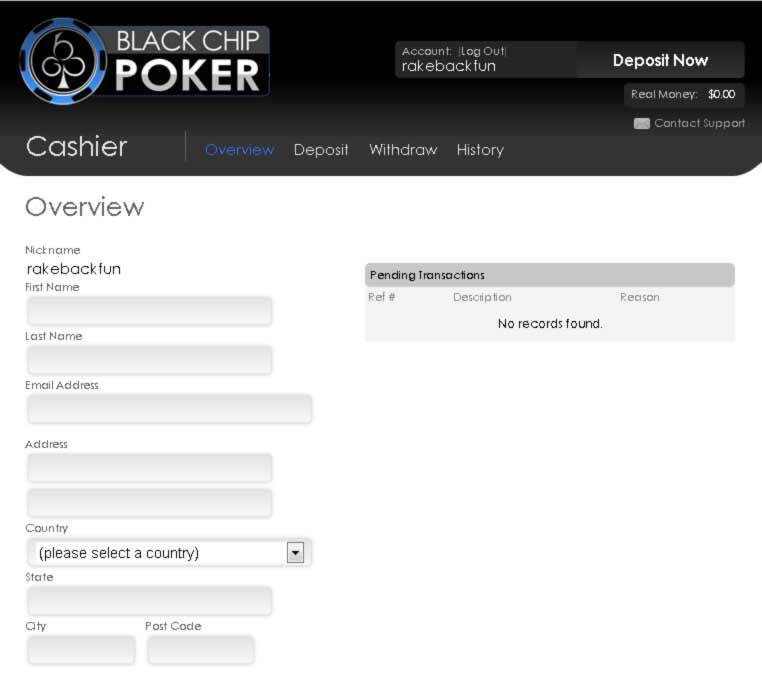 27% rakeback at Black Chip is redeemable on demand in the in-client cashier. 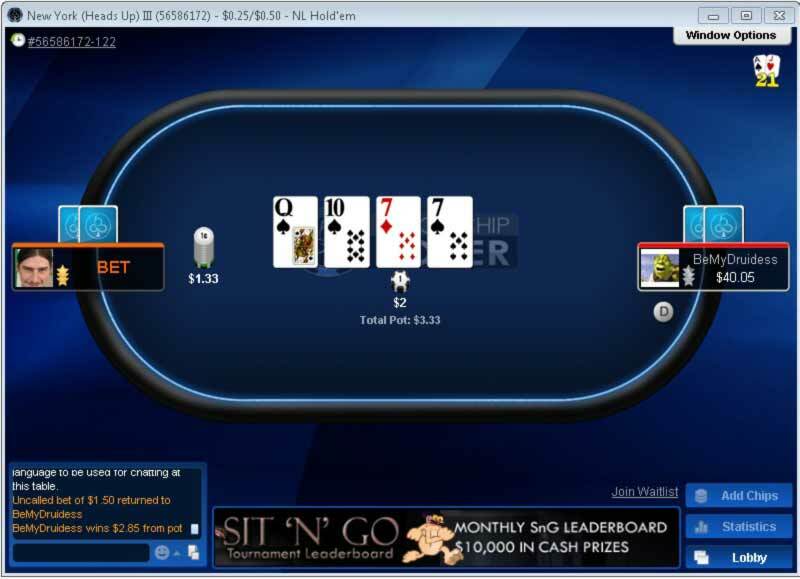 Get 27% of your rake paid in MTTs, SNGs or cash games back at the click of a button. As a new player on Black Chip Poker you earn a net 41.6% rakeback while clearing your deposit bonus – read more here. Open the Black Chip Poker game client. Login with your user ID and password. Click the ”Rewards” tab near the top of the screen and then selecting ”Rakeback”. Click the ”Click Here to Redeem” button. Your rakeback payment will then be deposited directly into your account. The Winning Poker Network (including Americas Cardroom, Black Chip Poker and True Poker) is the joint second largest room to accept US players (Bovada being the largest), roughly tied with the Merge Gaming Network seeing 24 hour peak traffic of ~1000 players. RoW players are also accepted. Unlike Bovada and Merge rooms (e.g. Carbon) however WPN rooms still offer rakeback, 27% on demand. Live satellites to the WSOP, LPS and PCPC run, alongside $1 million in GTD MTTs each month. The Beast progressive rake race was recently made 100% free, fully funded by the network. WPN doesn’t currently accept signups from New Jersey, Nevada or Delaware. The ’Rake per 100 Hands ($)’ and ’Rake Paid per 100 Hands (BB)’ columns are based on 80.7 million hands of data-mining research conducted by the Rakeback.com research department. The rake structure shown below came into effect Nov 27, 2012. BCP uses the weighted contributed rake method. Nov 27, 2012 – Winning Poker Network (WPN) skins adopted the low fixed limit rake of PokerStars, matching it for the lowest Limit Holdem & Stud rake in the industry. 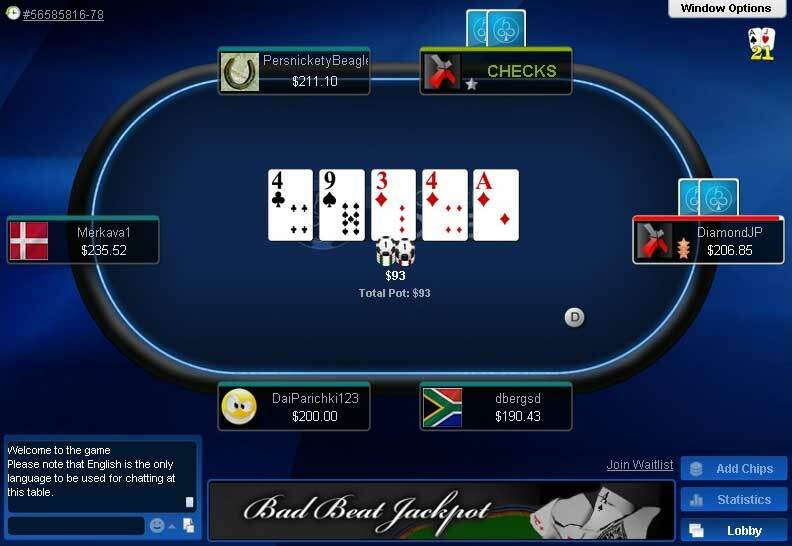 Dec 1, 2012 – Black Chip Poker left the Merge Gaming Network to become a Winning Poker skin, alongside Americas Cardroom. April 5, 2014 – Black Chip Poker stopped charging rake for their ’The Beast’ progressive rake race – going forward it would be fully funded by the network, with no rake drop for players. Jan 8, 2015 – Black Chip Poker added Bitcoin deposits and withdrawals for US players and all geographical locations. 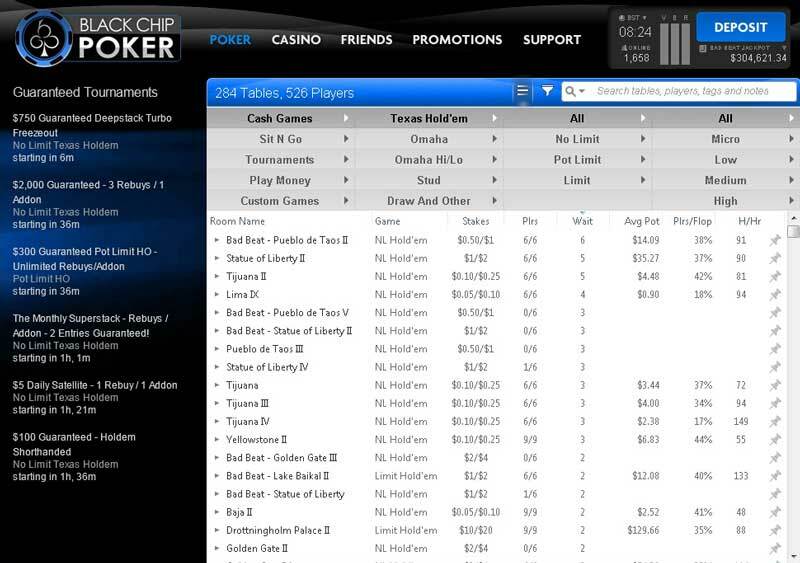 Download the free software through Rakeback.com to get 27% Black Chip Poker rakeback, and play with U.S. players.